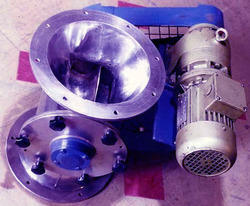 Manufacturer & Exporter of Rotary Airlock Valves & Rotary Airlock Valve. Our product range also comprises of Spray Drying Plants, Air Dispersion Dryer and Drying System Accessories. Temperatures up to 1000 degree Fer. Fabricated under the close surveillance of our expert professionals, these Rotary Airlock Valve deliver precise end results in detergent industries.